Depression is a loaded word and to be honest, I never thought of myself as depressed. Depressed people have this stigma of being seriously ill and requiring professional help, couple that with the pressure to be accepted as a teen, and you’ve got denial running rampant amongst younger generations. 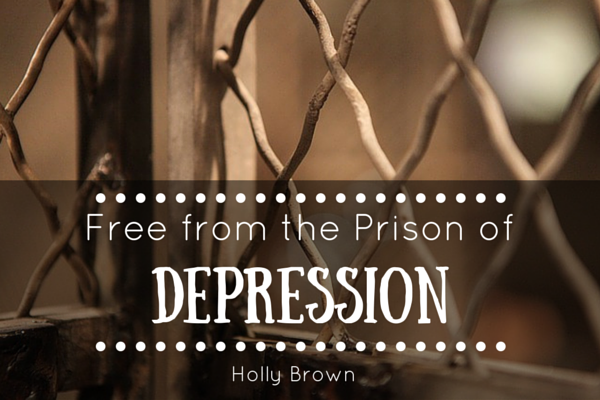 However, later in life, after I was saved and walking faithfully with the Lord, I realized just how detrimental my depression was. It’s something I couldn’t identify at all when I living in it. I simply felt like I was “dealing” with life as I knew it, trying to escape it at every chance but more so just surviving and dreaming for better days. My depression manifested itself in me becoming sullen, withdrawn from everyone except my twin sister. She was the only one who saw me smile, or heard me laugh. She knew all my secrets. My teachers never really heard my voice much unless I was called on to answer a question. Then my depression went deeper into the depths and I started cutting – or self-mutilation as it is termed now. I didn’t cut my arms, legs or stomach. No place where people could potentially see it in locker rooms or in the summer. I cut my scalp, within my hair so no one would ever know. I also started contemplating suicide, wondering what the easiest and least painful way to go would be. I knew I could never actually do it because that meant my twin would hurt too bad and be alone, but I thought about it on a regular basis. You could say my twin is the one who kept me grounded in many ways. It wasn’t until she decided to move away that I was faced with a dilemma. What do I do? Now that she’s leaving (abandoning me is what I actually felt), how do I live my life? It was then that God drew me to Him. It was then that I was captured to face life in a new way. My life has never been the same. I never “got help”. I never talked about it, but I realized later the depth of darkness that I lived in. It wasn’t until I was walking in the light (2 Corinthians 4:5-6) that I understood the battle with depression I had lived with for so long. I still struggle with depression every once in a while but it’s on a much smaller scale and self-harm never even comes close to entering my mind anymore. Now I can identify it, talk to my husband about it and ask for his support, encouragement, and help. I have a few trusted friends that I can be utterly honest with who pray with me & support me as well. I can easily tell you that if it were not for God saving me, I would be dead by now. My entire story from deep depression to redemption can be read on my blog here. Holly currently lives in Nebraska with her amazing & godly husband, sweet & smart 4-year old daughter & joyful 2 year old son. She is a stay-at-home mom who serves with her local MOPS group, and on her church’s Mission Leadership Team for missionary support. 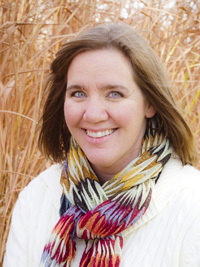 She writes at The Brown Tribe for the purpose of discipling and encouraging women and mothers. She is also a contributor for Missional Call, Raising Up Stones & Satisfaction Through Christ. In her spare time she enjoys coffee, photography, exploring the culinary craft, helping combat human trafficking through awareness and is currently writing her first book. You can follow along with Holly on Facebook, Twitter, Pinterest, Google+, and Instagram. ← Why Not Say Yes To Finger Paint? So glad that you have your sister, and can now talk openly with your husband as well. The evil one would love to keep us suffering in silence, but God means for us to walk in community with others – offering love and support as we journey through life’s trials. Thank you so much for your encouragement and insight! Holly, thanks so much for sharing your story. Self-harm is so difficult to talk about. I am believing that many will be helped through your testimony. Thank you so much! Most people had no idea I cut myself and I did struggle with being ashamed of it but now it helps me minister to others who are hurting in this way. Holly, I’m so glad you had your sister to ground you. I too self-mutilated back before it was even a term. Depression in the teen years was a whole different beast, yes? At my age, I can easily see how the Lord holds me through the dark seasons, which makes them not nearly so dark. Does that make sense? Your story resonates with me because in many ways it is my own. Grace and peace to you. Thank you so much for your words of kindness and support, Rebeca! Not many people I know can understand the caveats of self-harm so I appreciate you telling me you were in a very similar boat. Thank you (and yes, you made sense). God is so very good to us in proving He is trustworthy & faithful, even in our bouts with darkness. Yes Sweet Rebeca it does make perfect sense. I understand.